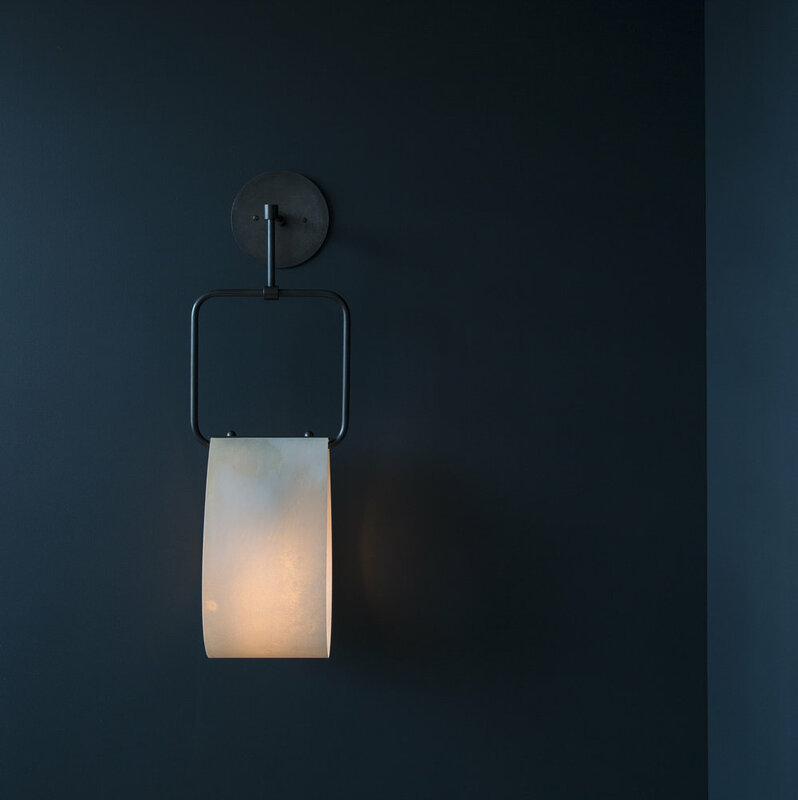 THE reductive LOOP fixtures feature hand cut goat parchment shades which arc, gracefully suspended under thin bent brass armatures AND ARE INSPIRED BY THE DRAPING OF WOMENSWEAR. During the process of aclimatization in every installation, the shades will shift and bend, offering a unique shape to each environment. the LOOP collection’s inflated volumes have a poetic presence alone or in multiples AND PROVIDE A KINETIC COUNTERPOINT TO ARCHITECTURAL FORMS.